Quiet and controlled, but interesting and scenic like a painted masterpiece. 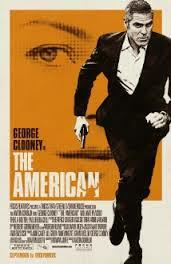 The american is a movie about an american hitman in italy, out to do a job. it recieved very poor buzz and critical consensus when it came out, being panned as a slow and boring movie, but the truth is it isn’t either one of those things. yes, it’s not always exciting, but it is interesting and attention-keeping, and in many ways it feels more exciting than other movies on this topic, simply because of the ways that it keeps moving. the movie is one hour and forty five minutes long, and that limited running time adds to the intensity. it makes you feel like nothing is wasted, and like the action scenes, limited as they are, come at a faster rate than usual. compare this movie to something like man on fire, the denzel washington kidnapping action movie, which clocks in at 2 and a half hours and doesn’t start giving us action until nearly an hour into the movie. the american starts with action right away. it’s got a bearded george Clooney out it the mountains of sweden, staying at a cabin alongside a lake. he’s staying there with a woman who he is romantically tied to, and when they go out to the lake one day, they are ambushed by a gunman positioned in the mountains. Clooney’s character, jack, takes out the gunman, but then makes sure to cover his bases, taking out anyone who might have been involved. it all happens quickly, with very little dialogue, and it is not only scenic and beautiful, but also exciting. jack goes to a smaller town in italy, where he lives with the locals and befriends a priest. the priest can tell that jack has done bad things and wants him to confess, but jack refuses. he also visits a local brother where he gets involved with a woman named clara, a prostitute who he feels he can trust. on nights when clara isn’t working, jack refuses to see another girl. the job that jack is doing for is employer is putting together a weapon. that seems anti-climactic and not very exciting, and all these things are true, but it also makes this movie different from the usual hitman film where the job is to take out a target. in those movies, the hitman usually has an unexpected, earlier than planned, run-in with the target and ends up awkwardly having to make conversation with him. the american side-steps every one of those cliches. the problem then becomes how do you make this movie interesting and bring in action, when even the job jack is sent to do has no action involved with it. the answer is simple. have the swedes, the ones who attacked him by the lake at the start of the movie, continue to come after him, even in italy. this movie does just that. it has one assassin follow him, leading to a motorcycle / car chase through the streets. aside from just the action, this movies goes deep into character, which explains a little bit about why Clooney made the movie. his relationship with clara is fascinating, especially when starts to suspect that she might not really be who she says she is. there’s a wonderful picnic scene where the two of them drive out to the countryside, lay down on a blanket, and jack starts to think she might grab a gun and try to kill him at any moment. this scene is so well-filmed, with jack hiding his gun behind his picnic basket, that it’s almost like something out of a hitchcock movie. it’s not about the action, but about the anticipation and suspicions. the final portion of the film does build up in excitement, the way a climax should. suddenly new twists are unfolding in front of us, and things are moving very quickly. there’s a nice ending to the movie, that really is right along with everything that happened before it, only now things are finally coming into place. the american is a good movie. it’s got a very european feel, if for remarkable scenery alone. that includes the buildings and architecture as well as the landscapes. but this is not a Terrence malick-like artsy movie that puts scenery ahead of other things, and thank goodness for that. it is a live-wire thriller that just happens to be set in front of a magnificent background. it’s not a great movie, because after all, it is not extremely creative or unique, but it does keep us glued to the screen and interested. 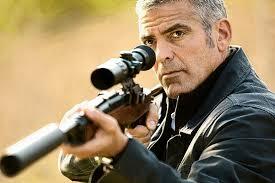 it’s an enjoyable film, much better than one might expect, and another smart success for Clooney.